If you have a headache, an eye problem, a cavity, chest pain or skin issues, anybody will readily take you to a doctor. But try telling someone that you are feeling anxious or depressed and they’ll tell you it’s just the weather, or that you’re tired. Nobody is ready to acknowledge any reason that can depress you. Or rather, we don’t acknowledge that something can be wrong with our mind. If it’s not physical, it’s not really a problem, right? But this ‘brushing under the carpet’ of mental illnesses is resulting in rising number of separations, high rates of suicide and alarming crime rates. Take a look at the world today. Everybody is stressed. Everybody is racing; participating in a competition they know nothing about. And for what? A better salary, a better college, a better car? Harmony between your mind and your heart? In today’s world, everybody- be it kids, teenagers or adults are struggling to do more, to do better in their studies, at work or at home. Stress levels are high, tempers flare often, people have lost their patience and tolerance and mental health is affected along with physical health. This story is of a lady, who was battling with depression for a while but came out of it, a proud and successful businesswoman. 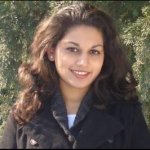 Rutika Deoghare, from Chandrapur, (now in Pune) a bio-tech degree holder and an MBA graduate, had everything- a good education, a family, a lovely daughter and a great job as an Assistant Manager -Training. She was exposed to a lot of big projects and was given the opportunity to conduct small sessions herself, which she thoroughly enjoyed. Everything seemed to be going well. But something was terribly wrong. She was constantly irritated, restless and couldn’t find peace anywhere. She quit her job and didn’t take up any other. She worked on a film project with her husband, spent more time with her family but the restlessness wouldn’t go away. She was getting aggressive every day and eventually got very abusive towards each and every person around her. She couldn’t sleep at all and was dull all the time. There was endless crying, screaming, sleepless nights, and a lot of over thinking. When your mind is not at ease, there is no limit to how dangerous your thoughts can be. One moment she would feel the need to change the world. The next, she would hate anyone who cheated or lied. She would even be furious with people for not following traffic rules. All this put her in a very unhealthy place. She didn’t notice anything good around her. She felt nothing that was positive. Just as we lose touch with our school and college friends in the race of life, she hadn’t kept in touch with many people either and so had nobody to talk to. And those who really made an effort to be around were pushed away because of her rude behaviour. For a person who is slowly losing his/her mind, even a tiny flicker of light seems like a ray of hope. While browsing social media pages, she often came across her classmate’s profile which was filled with posts of an activity she indulged in- soap making! Her creations were fascinating and although it seemed like a lot of effort, Rutika decided to give it a try. But she was not in the right frame of mind even to take up a new hobby. She enrolled in a class but got irritated as it was an art that would take time to learn. She wanted instant perfection. She soon realized she needed help and went to see a psychiatrist. This raised many eyebrows and numerous people told her it was unnecessary; that giving up her job was the reason for her foul moods and that she was overthinking. Nobody likes talking about mental disorders, let alone accepting that you are suffering from one. But she was. Today, she is glad she took that step, for she would have definitely had a mental breakdown if she had delayed seeking medical help any further. She was diagnosed with depression and anxiety and even counselling didn’t help very much initially. She had no motivation to exercise or meditate. Finally, she was put on medication which helped calm her down a little. She was asked to find something that would help divert her mind, keep her engaged and give her a purpose. She once again turned to soap making. With practice, she got better at it. The art was therapeutic. It made her feel calm and happy every time a good batch of soap came to be. The aromas must have helped as well. After almost one and a half year of struggling with her inner turmoil, she thought of turning her hobby into something more and thus her own cosmetic brand ‘Saabun’ came into existence. Starting something of her own was a plan that often played in the back of her mind but she never imagined it would be soaps or cosmetics. The craft involved a lot of research and self-study but she enjoyed every moment of it. Today, she has successfully tried her hands at products like lip balms, scrubs, lotions and bath salts in addition to soaps. From managing finances to juggling time between family and work, it has been a roller coaster ride for Mrs.Deoghare, setting up her own business from scratch and ensuring it thrives. She has not recovered completely yet and still has moments of anxiety and depression, but she believes that today, she is in a much better space than before. Her advice to all those who may be going through similar experiences, is to communicate; to accept the problem and talk about it. That is the only way to recover. She insists that taking medicines for mental disorders is as normal as taking medication for a physical ailment. And they are not addictive either. She does not need her sleep inducing pills anymore and feels much healthier physically as well as mentally. But seeking professional help and trusting your doctor is a must, she claims. Ms.Deoghare’s story is one amongst those of a thousand others who have struggled and suffered in silence. But if more and more people come forward with their mental health issues and we are sensitive enough to support and help them, it will lead to a healthier society; one that is joyful and content. 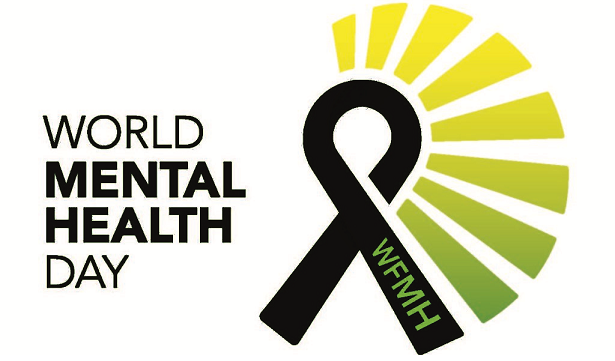 Today, on World Mental Health Day, let us pledge to let go of the social stigma against issues like depression, anxiety, bipolar disorder and others. There are many who are unaware of what they are going through. Let us listen to them and take them seriously, instead of giving excuses for their problems. The 15 Inventions in India That Has Changed The World!